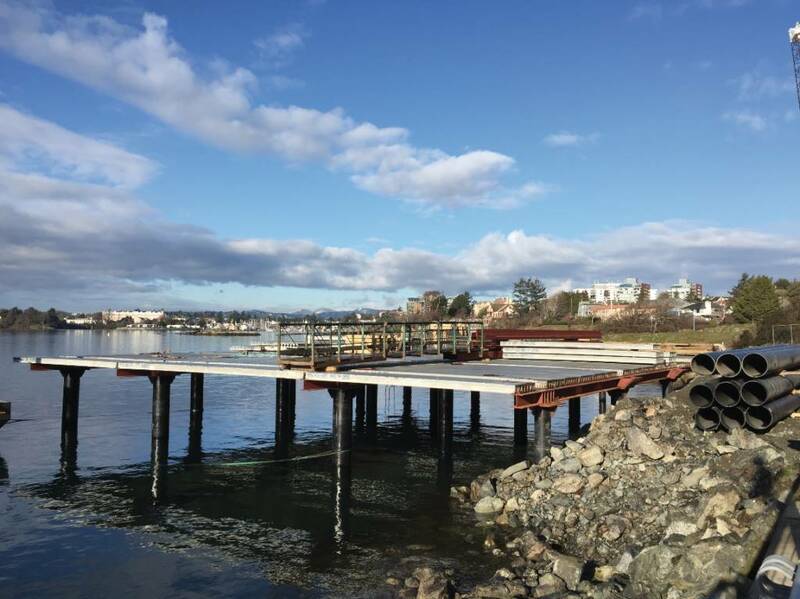 The first pilings have been pounded into the ocean floor and a 300-foot dock—the 12-foot-wide anchoring portion of the marina—has been barged into place. After 30 years of wrangling, the Victoria International Marina is finally being built. When completed, the marina will offer berths for yachts ranging from 65 to 150 feet. Why did it take so long for Victoria to build a luxury yacht marina? The saga began in the mid-1980s when the Province stipulated that a facility for larger yachts should be included in the development of the Songhees, an obsolete industrial area next to Victoria’s northwest harbour. The Feds chimed in ordering that berths should measure a minimum of 65 feet, as dock space for larger yachts was lacking. Over the decades, many marina designs were developed to comply with changing federal, provincial and municipal regulations. The marina has contracted Synergy Enterprises to ensure operations are as environmentally sound as possible. Marina staff will collect waste and pre-sort it into standard recycling categories. A pump-out will be installed. Staff will be trained to avoid hydrocarbon contamination. Only electric vehicles will travel the docks, and where possible, marina service vessels will be hybrids. When operational, the marina will seek the Georgia Strait Alliance clean marine designation. The marina is slated to open in July 2017. Don’t Forget to Enter PY’s 2019 “Take your Best Shot” Photo Contest! Sign Up for PY's Newsletter!